Marketers who wish to create a difference in their branding can consider custom magnet advertising using 5.5 x10.5 magnets. Before getting into details of this advertising, let us understand basic problem faced by marketers who fail to make impressions on the crowd. What is the real conversion killer for your business? There might be several reasons for why your business is not performing right from the bad product selection to poor pricing, slow turnaround time, etc. There might be times, when you have spent and splurged money like water to make things work out in your favor. Perhaps you believe that you are going in the right way. Then what is the problem? The problem is perhaps your indifference to customers. No wonder, you might have done everything else to push up your sales, you have done nothing to appease your customers. Have you ever bothered to–? If the answer is no or I have not bothered to check it, we would say that you are not a good marketer. Do you know, what is the prime priority for a marketer? A marketer should always remember and indulge their customers. Many marketers think that their job gets over, when they gift or reward customers at the end of the purchase. It is not true; rather they have to work hard to keep in touch with their customers. That sounds entertaining as well as informative and comes across as a real value item. People would love retaining 10.5x 5.5 magna peel postcard with business card over their refrigerator doors as long as they can. 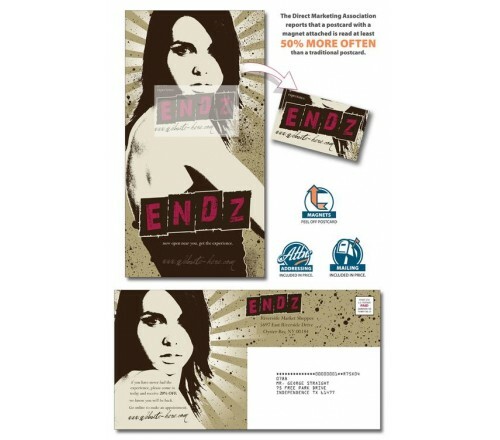 These postcard magnets help people to remain connected with the business always. Customers would appreciate receiving a 10.5 x 5.5 magnet printed with thank you or holiday wishes. As said before, it is always important for the marketer to make the consumer feel special in all ways. A simple thank you magnet or holiday wishes magnet would make customers believe that they are special for the marketer. They would retain this appreciative token as long as they can. 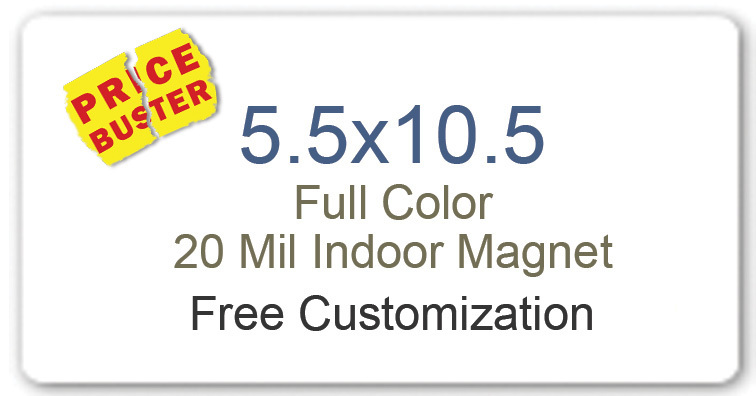 5.5 x 10.5 magnets can be customized with savings information and discount coupons. If you secretly ask a shopper what does he expect others to call him, pat will come the reply – a smart shopper. Who is a smart shopper? He is the one who saves saves and saves without compromising on the quality or downsizing his needs. You can easily make a customer believe that he is a smart shopper by mailing a customized 5.5 x 10.5 coupon magnet to him prior to his purchase. Perhaps your customer would appreciate a marketer who cares for their purse strings. What is the best way of forging a relationship with a prospective and current customer? Perhaps gifting them a calendar magnet! Why? Because they would see it and refer it every day. They would retain it with them as long as they wish. You can easily find out many other potential ways of creating difference to your campaign by indulging 5.5 x10.5 magnets.